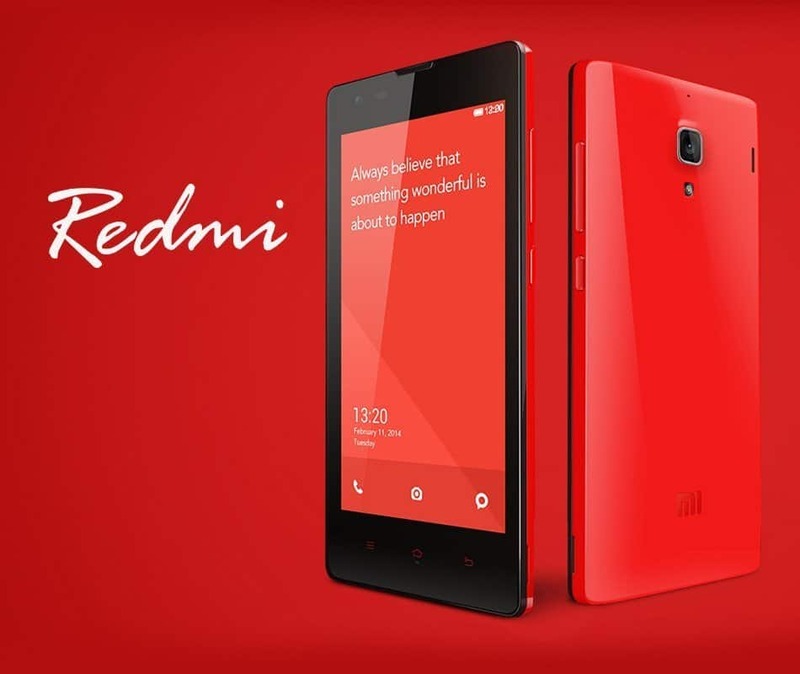 Xiaomi Redmi 1s, is releasing in India very soon through flipkart in India. The anticipated release date of Xiaomi Redmi 1s in September 2014, through Mistore in Flipkart. If you are willing to buy Xiaomi Redmi 1s now directly from Xiaomi store in china, then follow the process: Buy Xiaomi Redmi 1s: Alternative method to Flipkart or try these alternatives for Redmi 1s. The Redmi 1S an upgraded version of the Redmi, or Red Rice model, The 1S version of the Redmi is very similar to the first Redmi version, but the crucial difference is that instead of a MediaTek MT6589 being used, a Snapdragon 400 quad-core 1.6GHz processor is running the show, and the memory up from 1+4GB to 1G Ram 8G Rom.That’s the same chip that’s at the heart of the Moto G and many other budget devices and does a very good job of keeping up with everyday tasks while also delivering some excellent battery life to keep things running throughout the day. Dual SIM Card Dual Standby. Trick-1: Redmi 1s is available first for the “Flipkart first customers” on September 1st. Flipkart first customers have exclusive offers of having the any smartphone in hand first. It costs only Rs 500, to be the flipkart first customer. Click here to be the Flipkart First Customer. Trick-2: Redmi 1s sales will start in flipkart exactly at 2.00pm on September 2nd. 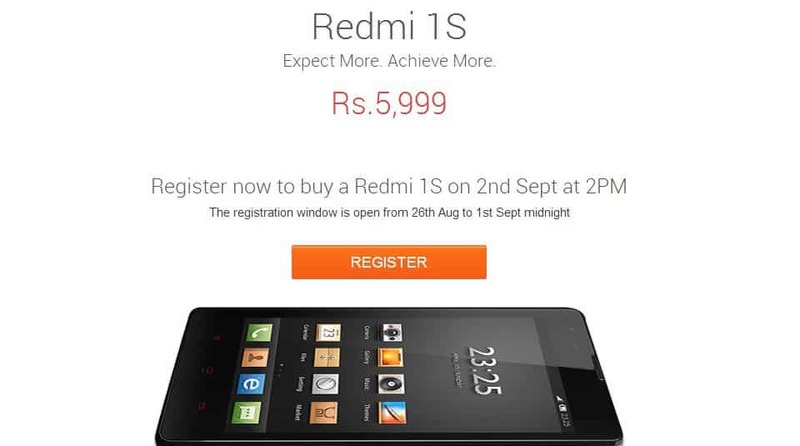 Make sure you are already registered for the 1st sale of redmi 1s. Registering yourself exactly at 6.00pm, soon the registration’s starts enables the probability to 99.9% to conquer Xiaomi Redmi 1S. Registrations are very important role. Trick-3: Before the start of the sale from flipkart, it is necessary to login 3hrs prior to the sale. Flipkart uses the Ranking process as per your registration and Online timing. The first you registered to Xiaomi Redmi 1s, sale, the more time you are on flipkart, the more will be the probabilty of getting redmi1s into your shopping cart. If you get Message like below image, you are successful in adding the Xiaomi Redmi1s, in your cart. You can buy it anytime by midnight of September 2nd. 1. Try using “Flipkart app”, in ordering this device. Because flipkart runs “Flipkart app”, in a dedicated server. So the chances of getting Xiaomi Redmi 1s, increases. It is better to logged in both through PC and smartphone, to avoid any chances of loosing your Xiaomi Redmi 1s. 2. 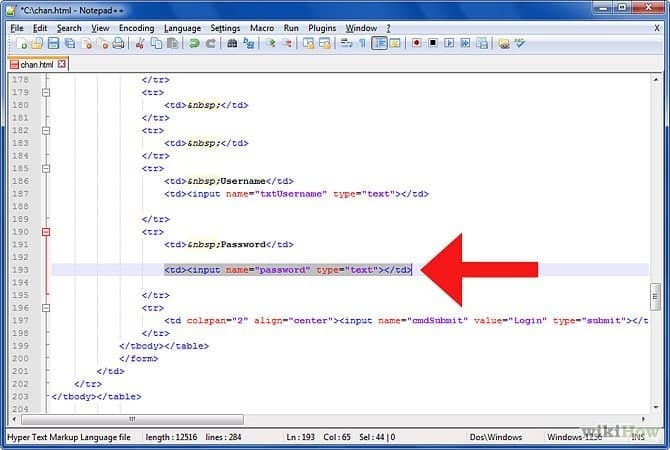 Try Refreshing your page through (F5), which is your best friend Key on your keyboard. Try hitting F5 (Refresh key), till you get a page to buy a Xiaomi Redmi 1s. (cmd+R on a mac). Other people have reported opening several tabs being helpful. 3. Keep ready with your shipping address and your payment details before you start with buying process. Prior saving of Addresses in the Address book increases the chances of Getting Xiaomi Redmi 1s into the hand. Please read our complete review on Xiaomi Redmi 1s, to have deep insight of the economic smartphone.